← Our new book is published! Chandi is probably best known for her appearances on Britain’s Got Talent in 2010 – we received a standing ovation from the judges at our audition then went onto win our semi final with the second largest public vote of the series (a staggering 58.2%), and eventually placed fourth overall in the Final. Winning our semi final on BGT! 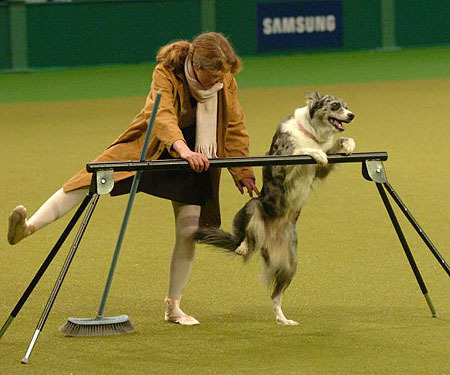 Britain’s Got Talent (BGT) was not the first show we did together though … we have been competing in Heelwork to Music and Freestyle competitions (dog dancing!) since 1999, and Chandi quickly became a force to be reckoned with! Having fished Chandi out of the dog pound in 1997, we won the inaugural Crufts HTM/Freestyle Final in 2005 and then clocked up an impressive hat trick of wins in 2009 at Crufts, winning all three HTM, Freestyle and International Freestyle Finals in the same year setting three records (that still remain): first dog to win a total of four Crufts titles; first dog to win both HTM and Freestyle at the same Crufts; and first dog to win all three Finals in the same year! Winning the International Freestyle competition on the final day! 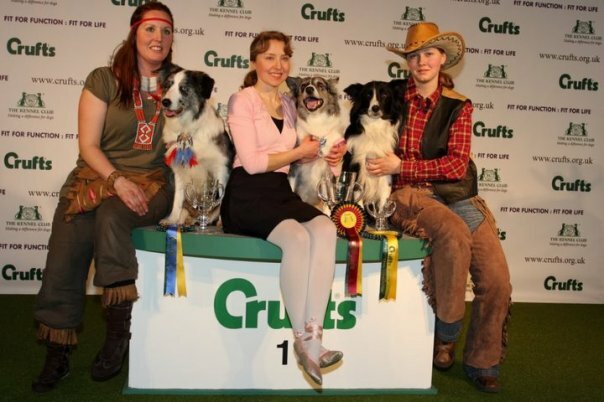 Crufts is the ultimate dream for many dog trainers around the world – you get to compete against the best in your sport and these four Crufts titles are definitely our proudest moment. Bear in mind that Chandi was a former pound hound and I paid just £10 for the honour of taking her home with me. In fact, maybe that should be *four* records we hold – only rescue dog to win four titles in HTM and Freestyle at Crufts …! For many weeks before our book was officially released on March 29, 2012, it was at number one in ‘hot new release dog books’. Last week we reached the dizzy heights of number nine in ‘dog books’ just a few days after it was released, and we are currently at number 8! 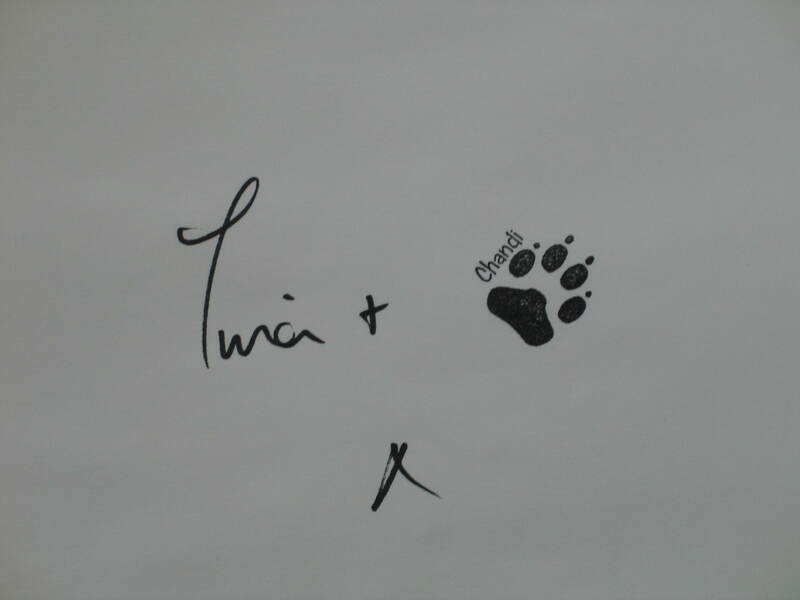 “This is a memoir with the very widest appeal … you don’t have to be an animal lover to fall for Tina Humphrey and Chandi. Theirs is a heart-warming and often humorous story of pain and perseverance, resilience and mutual reliance, grief and glamour, work and play, love and selflessness. 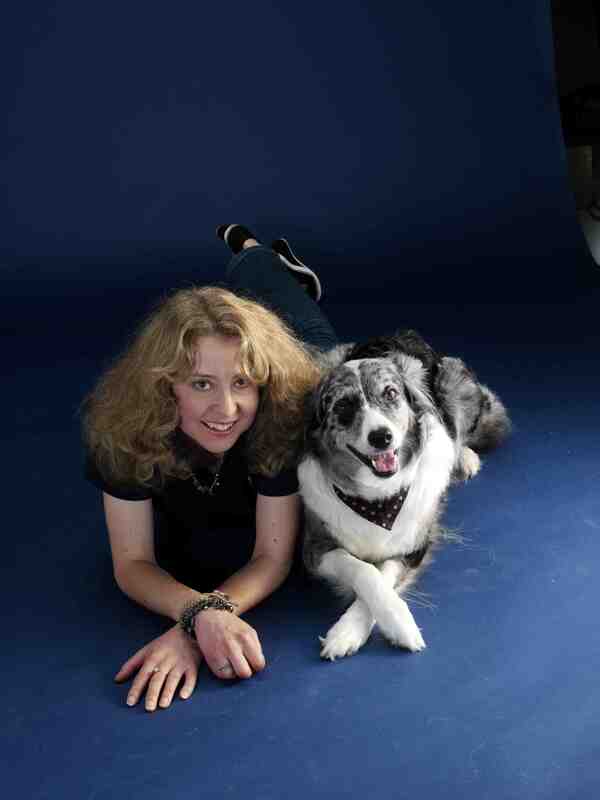 Photo shoot for Dogs Today Magazine – taken by Tim Rose. 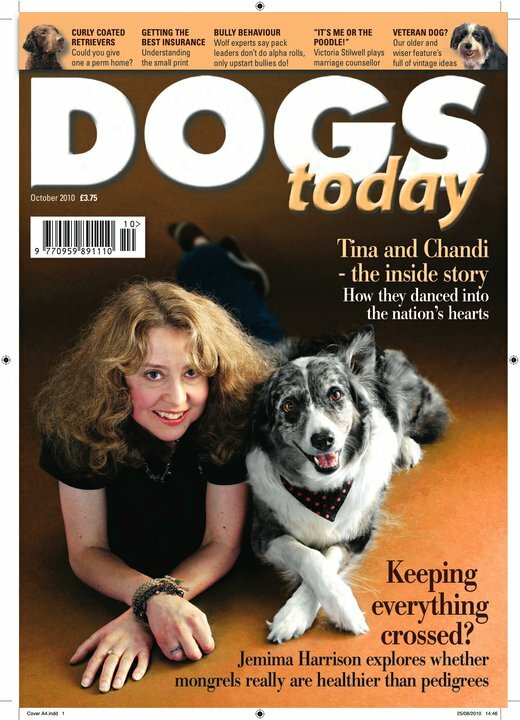 Our book ‘Chandi: the rescue dog who stole a nation’s heart’ is available in both paperback and Kindle edition, from Waterstones, WHSmith, click here to buy from Amazon.co.uk, and all good book stores, including Burway Books in Church Stretton. We will also be signing at Waterstones in Macclesfield and Croydon, but dates and times are yet to be confirmed. If you would like to join our page on Facebook, click here. 2 Responses to Our new book is published! just been reading the book on the train to aberysthwyth and think its a proper nice story. the way she talks about chandi is something i can relate to, because i felt the same affinity with my dog called Frodo, they were good days. all the best for the future, hope she does a book signnig in shrewsbury sometime.